The ideal way to add a touch of traditional elegance to the exterior of your property, these composite French doors feature large, arched windows that not only look great, but will also allow plenty of natural light into your home. The addition of classic sunburst detailing adds a distinctly Art Deco feel. 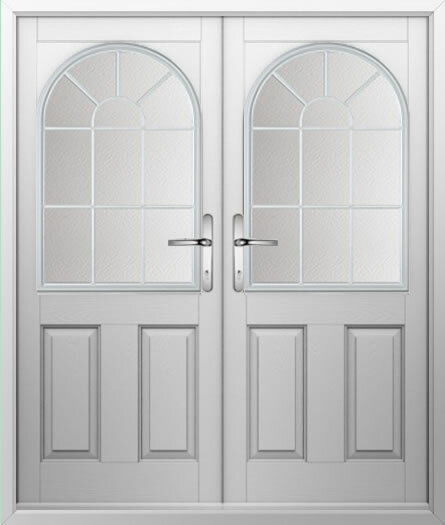 Ideal for blurring the boundaries between the interior and exterior of your property, this double composite French door is safe, secure, and durable, not to mention fully customisable.